I have to admit, I sometimes forgo a wholesome cooked dinner on busy nights. Sometimes throughout the week, there just doesn’t seem to be time to cook! My family has eaten its fair share of sandwiches and microwaved meals during these busy times, particularly around the holidays when everything just seems to be so time consuming. I’ll also admit that when I don’t have the time to cook a wholesome dinner, I feel so guilty about not feeding my family the way that I should. And so, I started looking into ways to save time in the kitchen and what I found are 25 of the most amazing crock-pot recipes! These recipes are all so quick to put together and they cook in your slow cooker so you know that they save you time. And they are all practically guaranteed to satisfy even your pickiest eater. From soups to spaghetti and the most tender French dip sandwiches, there is a slow cooker recipe in here that you are going to love. Add these to your menu and you can prepare a wholesome meal every night of the week, no matter what busy activities you have going on. And, be sure to take a look at these 20 freezer casserole recipes. They also save you time and are perfect for beating the cold on those chilly winter nights. There are so many ways that you can feed your family on a budget and on a time constraint. I love recipes that are quick to put together and especially those that you simply add to the crock-pot and let them do their thing. My crock-pot is honestly my favorite kitchen small appliance. You can make so many wonderful meals with it and these recipes are all perfect for those one pot meals that save you time. You just throw your ingredients into the slow cooker and tend to other activities while your wholesome dinner cooks itself. What could possibly be easier? And, you should also check out these 200 freezer meals that save you time and money. Spaghetti isn’t a terribly difficult or time consuming meal to make but it does take a little time. 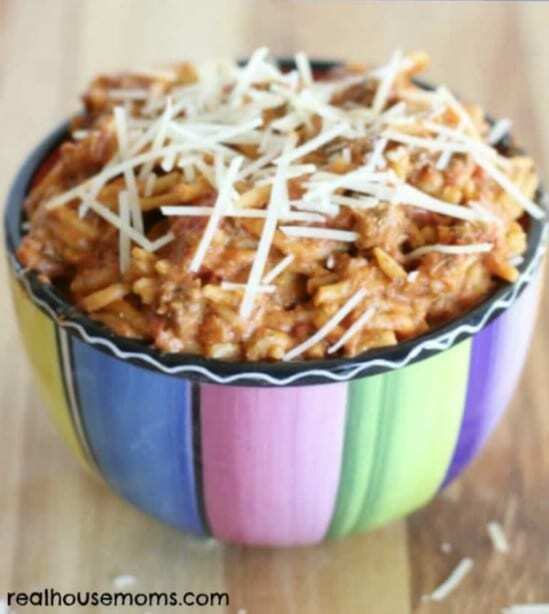 You can save that time by making this amazing crock-pot spaghetti. It’s creamy and delicious and who doesn’t love spaghetti? You have to cook the meat ahead of time but that’s it. Once that’s done, you just add everything to the crock-pot and let it cook for about three hours. 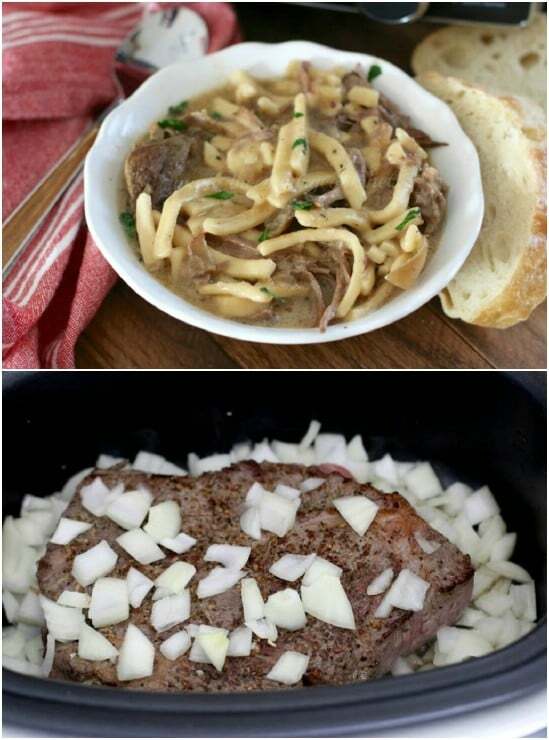 Beef stroganoff is definitely a time consuming dish, unless of course you make it in the slow cooker. 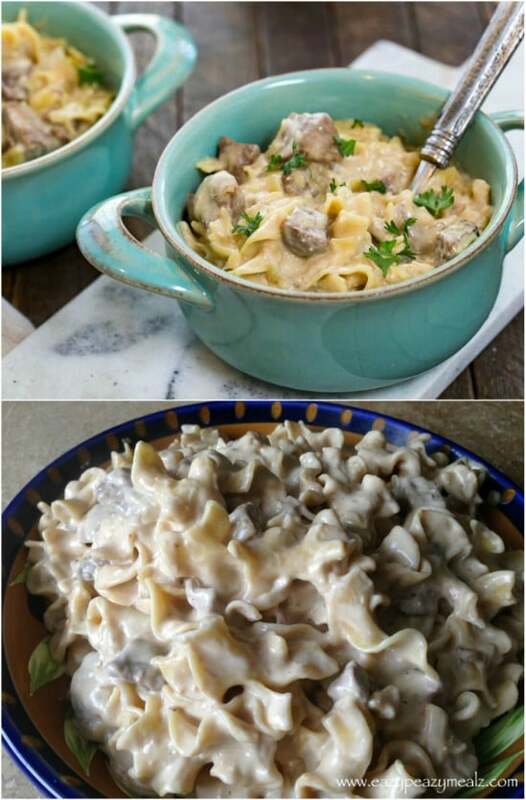 This recipe is so easy to follow and gives you the most scrumptious beef stroganoff! Just 10 minutes to prep and four hours to cook and you have a wonderful meal that your family will love. And if you have extra time for cooking, I highly recommend that you try this homemade beef casserole. This slow cooker pork tenderloin is a meal all by itself. Just add a salad or bread and you have a wholesome meal in just one cooker. 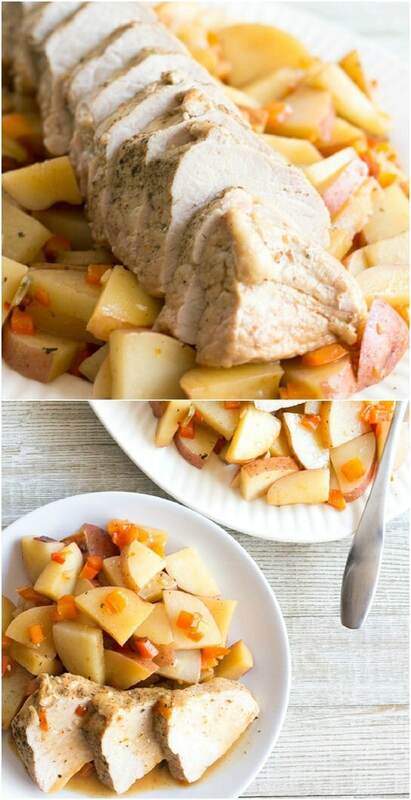 With vinaigrette, pork tenderloin, red potatoes, red peppers and garlic, this is a delicious and warm meal that is perfect for those busy winter nights. You can cook this one on high for about four hours or put it on low for eight hours if you need more time for other activities. 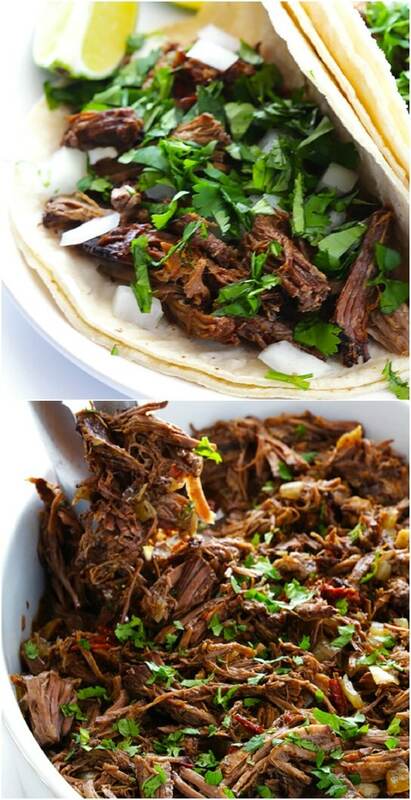 Beef barbacoa is a traditional dish that is typically cooked over an open fire, but you can recreate the taste with this crock-pot beef barbacoa recipe. 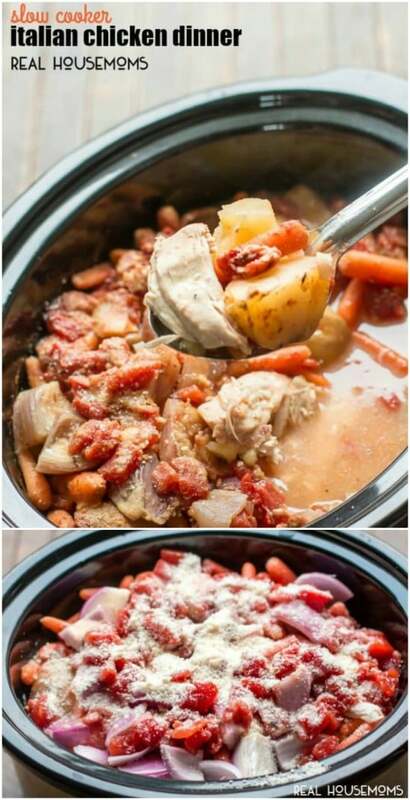 This is the simplest recipe – you just toss all of the ingredients into the crock-pot and let it cook. You get shredded beef that is accented with onion, green chilies and garlic and it is absolutely delicious. 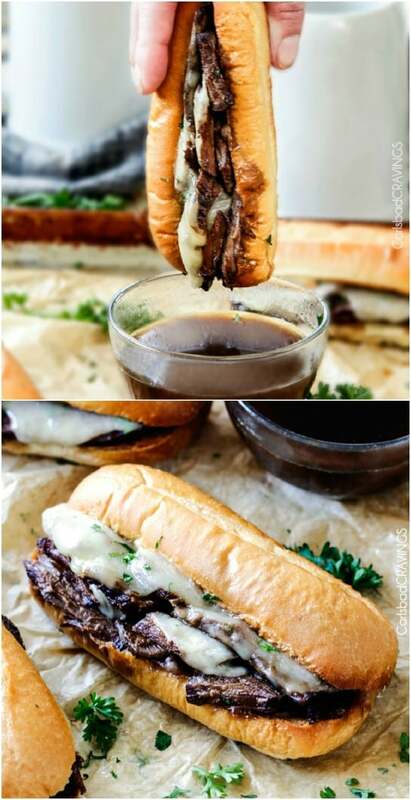 I had the most amazing French dip sandwich years ago in a little restaurant in a tiny little town in the South and I have been looking for a recipe to recreate that flavor for years. This one not only gives you mounds of flavor, it’s super easy because you cook it in the crock-pot. It only takes five minutes to get your beef ready for the slow cooker and the recipe produces the most amazing au jus sauce for dipping! My kids love a good beef and noodles meal but those can take so much time. By the time you cook your beef and then your noodles, you have spend a couple of hours in the kitchen. This crock-pot beef and noodles gives you the same great taste without all of that cooking time. You use frozen egg noodles for this – or you can make your own. Homemade always tastes better. This one only takes about 10 minutes to prepare and then another eight hours or so to cook. Can I just say that bourbon chicken is my favorite? I love this stuff and anytime we go out, I always check to see if the restaurant serves it. Little did I know that I could make this myself at home, and in the crock-pot! This recipe only takes 10 minutes to get together and then you cook it for about six hours. This is great for dinner parties, too and it pairs so well with so many different side dishes. 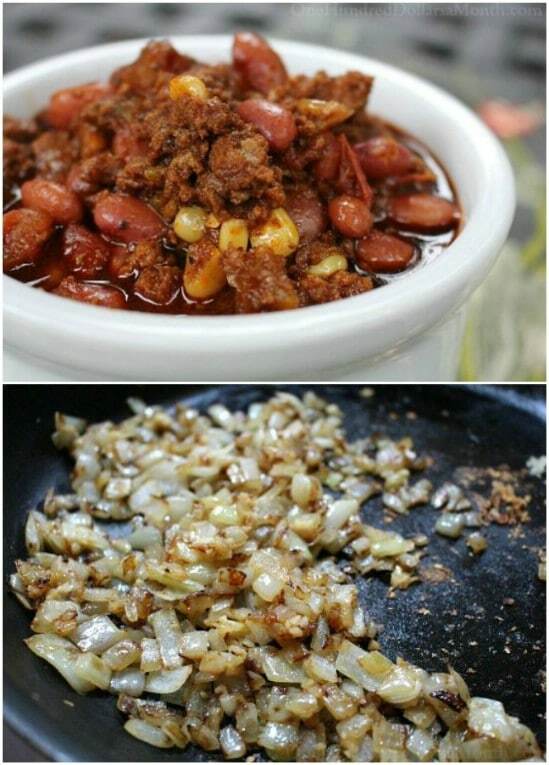 Chili is a delicious dish that is perfect for cold evenings. This crock-pot chili is even more perfect because it doesn’t take long at all to prepare. Fresh heirloom tomatoes and dark beer give this chili a wonderful southwestern flavor and it’s so easy to cook thanks to the slow cooker. You just assemble and then let the crock-pot do all of the hard work for you. This delicious chicken dish would take forever to bake if it weren’t for the crock-pot. Sundried tomatoes and basil give this chicken a delightful flavor and heavy cream gives it such a wonderfully creamy texture. This is a delicious casserole type chicken that pairs nicely with just about any side dish that you could imagine, including this yummy BLT pasta salad that you can make ahead of time and have waiting in the fridge. 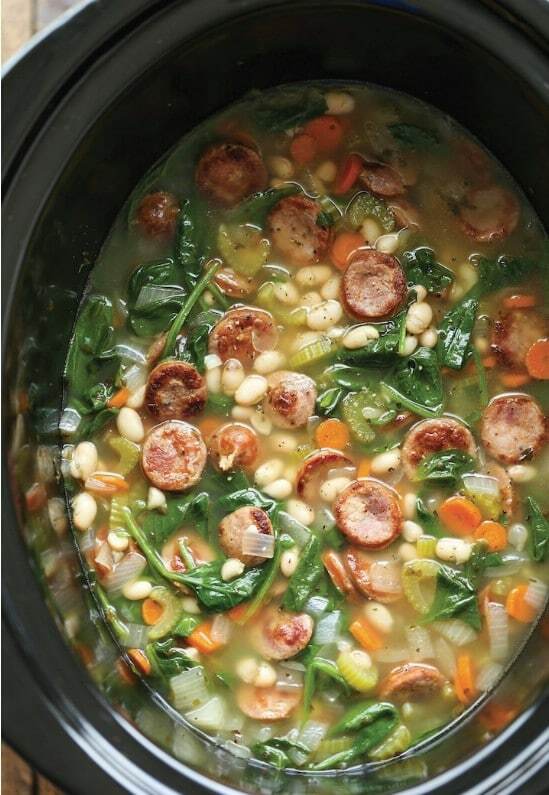 Homemade soup is always a wholesome meal and this particular soup has white beans, sausage and spinach – it’s a great way to get your little ones to eat their dark green, leafy veggies! It also has carrots and celery, so it’s super healthy and it only takes about 10 minutes to get ready to cook. Then just leave it be and let it do its thing for a few hours and you have a hearty and wholesome soup for dinner. Pork chops normally take a lot of time to prepare, but not with this crock-pot smothered pork chops recipe. This one is super easy and only takes about 10 minutes to get ready. 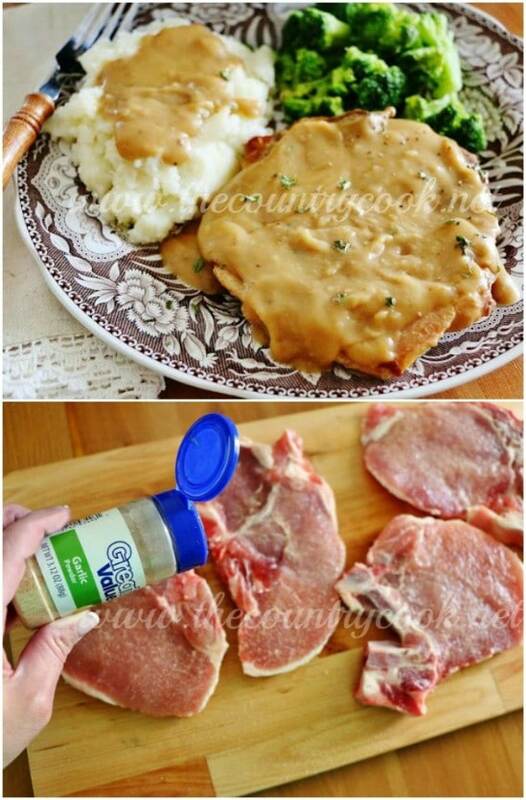 They cook for about six hours and when they’re finished, you have delicious pork chops that are smothered with a creamy gravy. Just add a quick and easy side dish or two and you have a deliciously wholesome dinner. I have an amazing chicken tinga recipe that we fix from time to time. This slow cooker recipe is made from pork and it is perfect when you want something a bit spicy and filled with flavor. 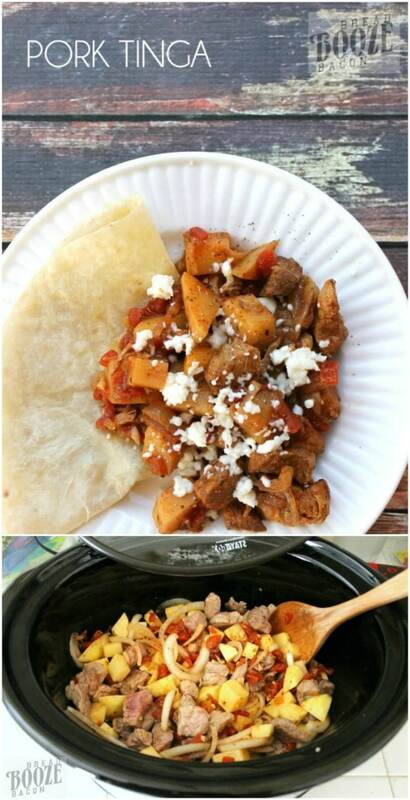 Pork, potatoes, onion and chipotles give it a wonderful flavor and all you have to add are the flour tortillas and some sour cream when it’s finished. If you love a creamy potato soup recipe, then you will definitely want to try this cheesy cauliflower soup. 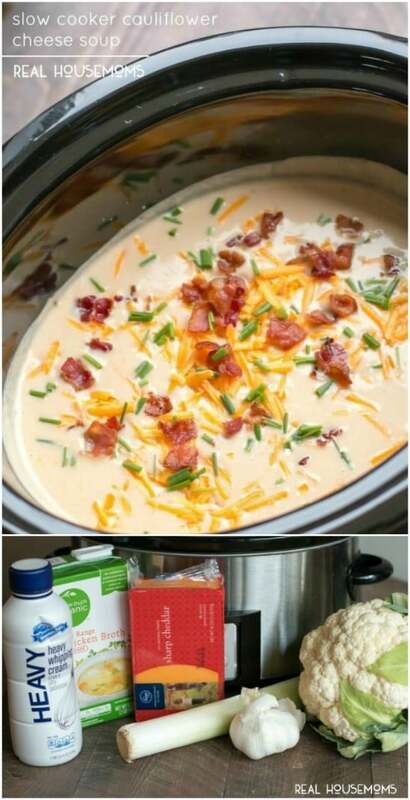 This one has all of the flavor of loaded potato soup, but you make it with cauliflower so it is much lower in carbs. And, it’s really easy to make. Just add your ingredients to the slow cooker and leave it alone for about six to eight hours – then top with your favorite toppings and enjoy. I absolutely love a good tortellini recipe. 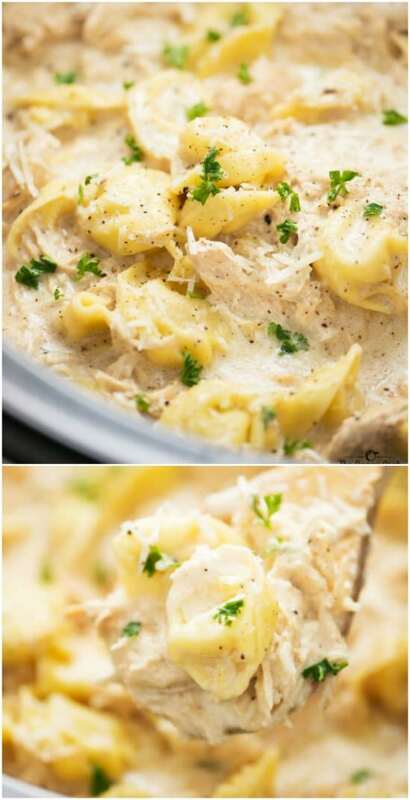 One pot tomato tortellini is one of my favorites and now, so is this slow cooker chicken alfredo tortellini. This is such a delicious comfort food and it’s perfect for busy weeknights. You can even make this with frozen chicken – there’s no need to thaw it first. It’s a creamy, filling and yummy dinner meal that will definitely melt away those cold weather blues. You have to love a creamy corn chowder recipe. This chicken and corn chowder is creamy and delicious and it’s the perfect cold busy night recipe. 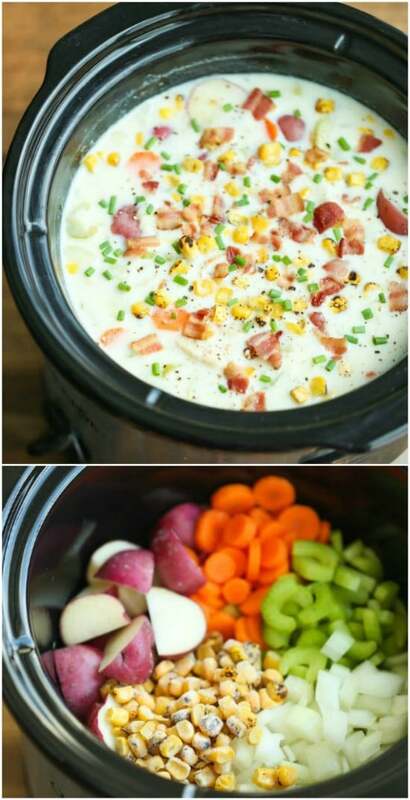 It cooks up so warm and yummy and it’s filled with delicious flavors thanks to the chicken, potatoes, carrots, celery and bacon…and of course the corn. You cook this one on low for about eight hours or high for four if you need it done faster. I love Italian food and chicken marsala is one of my favorites. 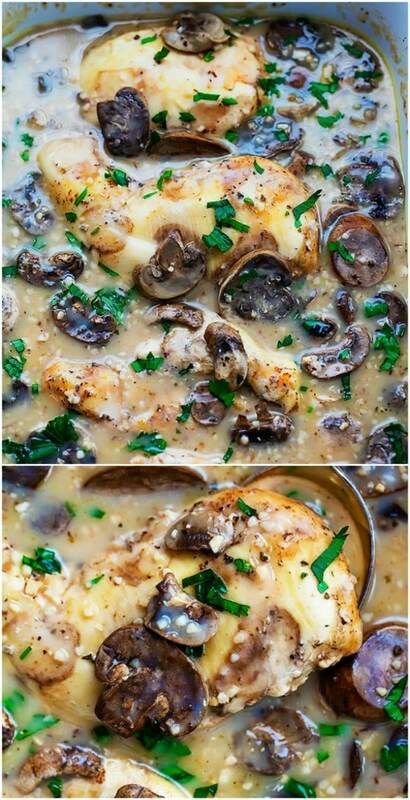 I adore the chicken marsala from Olive Garden, and this slow cooker version is a great rival to that favorite. It’s filled with creamy sauce, chicken and mushrooms and it only takes you about 10 minutes to get it all ready to cook. Leave it in the crock-pot for about six hours and you will have a delicious dinner that is sure to please the entire family. This chicken parmesan is a meal in itself, thanks to the addition of pasta and you can cook it all right there in the same slow cooker. This is a wonderful Italian dish that is super easy to prep and sure to please even your pickiest dinner guest. You don’t even need anything to go along with this one unless you want to add a side salad and maybe some homemade garlic bread. Anything with parmesan is sure to be a crowd pleaser, like this delicious salmon parmesan. 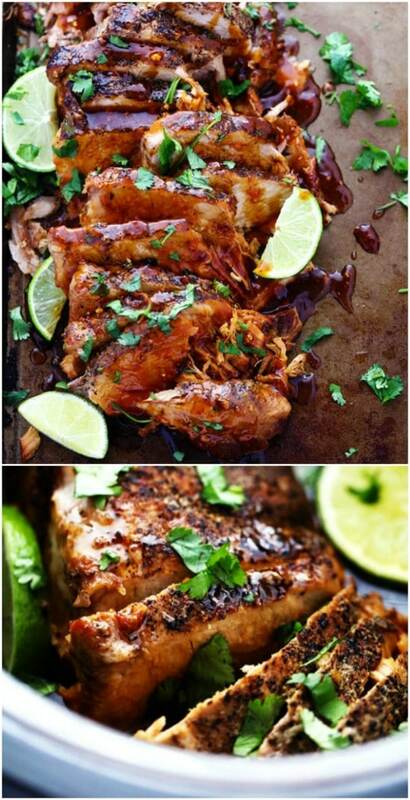 This pork recipe is absolutely divine and it’s so easy to throw together. You just need 10 minutes to get your pork roast ready for cooking and then another eight hours of slow cooker time. This one is really delicious and serves up great with any number of side dishes. Serve this one with a side of white rice or any other dishes that you love – I promise that they will be begging you to make it again soon. This crock-pot Italian chicken is an entire meal in one pot…all you need to add is some crusty bread, or a side salad if you’re watching your carbs. This one is super easy and really satisfying. You make it with white meat chicken, tomatoes, potatoes, carrots and Italian dressing. Just 10 minutes to get it ready and another eight hours to cook and you have the perfect Italian dinner ready. 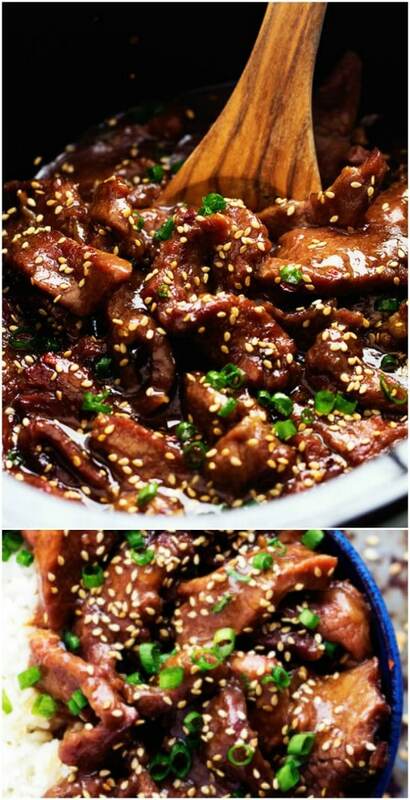 Imagine delicious Korean beef from your slow cooker! This is such a simple recipe and it gives you such a delicious dinner option. Korean beef is a favorite of so many and it serves up perfectly with white rice. This recipe includes flank steak, sesame seeds, garlic, soy sauce, brown sugar and so many other delicious ingredients and it cooks to perfection in just four hours. 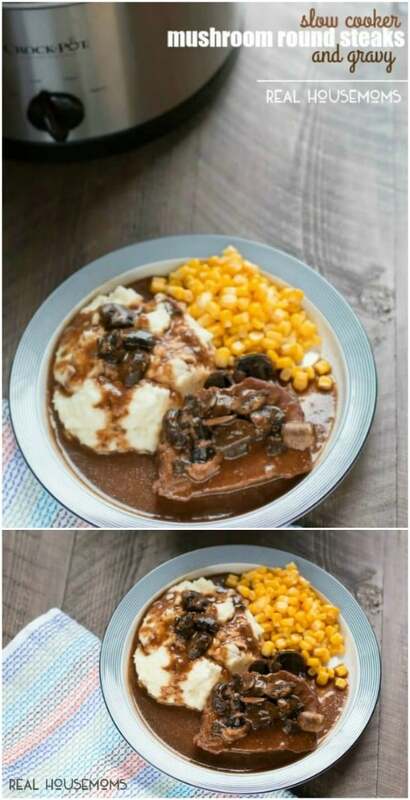 Round steaks with mushroom gravy make a wonderful comfort food and you can cook these up in a jiffy thanks to your crock-pot. The recipe serves four but you can easily adjust it for more or less, depending on the number of people at your dinner table. The thing with this one is, you don’t open the lid of your crock-pot…at all…during the seven hour cooking time. That’s what makes your steaks melt in your mouth delicious. 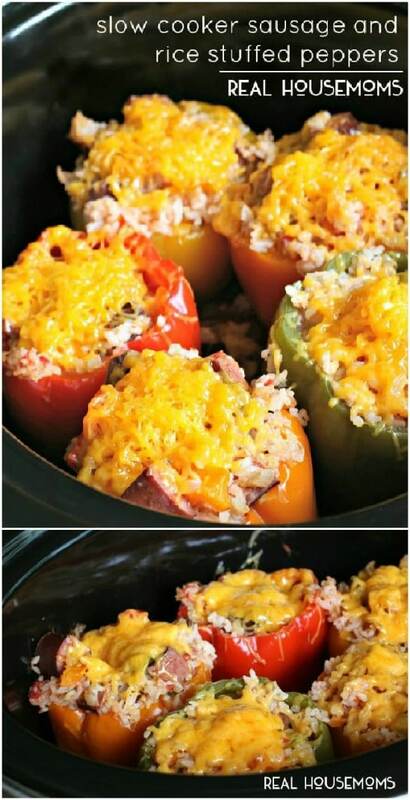 I love stuffed peppers – and I love this recipe because it makes it so easy to prepare them. These taste like Cajun jambalaya in a pepper and they cook up perfectly every time. The homemade sauce makes them delicious and it only takes about five hours to cook them – plus another 10 minutes or so to get them ready for the slow cooker. 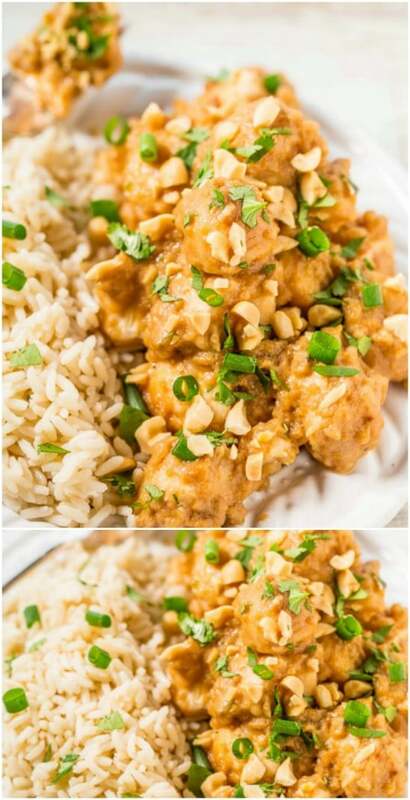 If you want a really good Asian dish that you can make in the slow cooker, this Thai peanut chicken is it. Serve this on a bed of white rice and you have everything you need for an amazing meal. It only takes five minutes to get it ready and then another few hours to cook. Peanut butter, rice wine vinegar and lime juice are just a few of the ingredients that give this Thai chicken its amazing flavor. 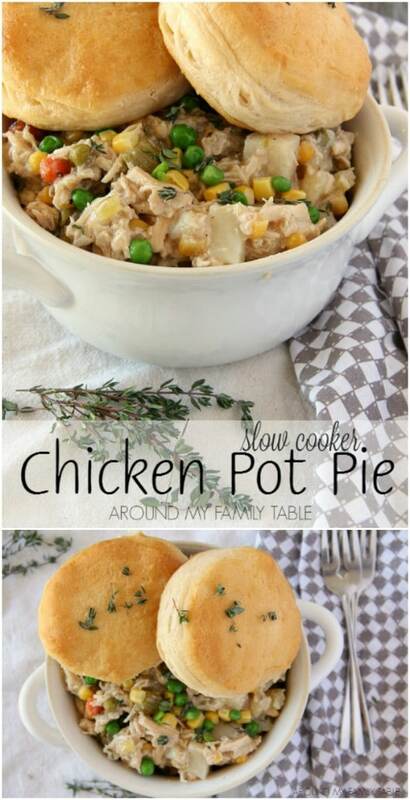 I love a good homemade chicken pot pie recipe. This one is not only delicious, it’s easy because you make it in the crock-pot. With white meat chicken, peas, carrots, corn, celery and potatoes, this is definitely a healthy dinner option and it is sure to please the entire family. You can serve this with homemade biscuits or just leave it as a one dish dinner. 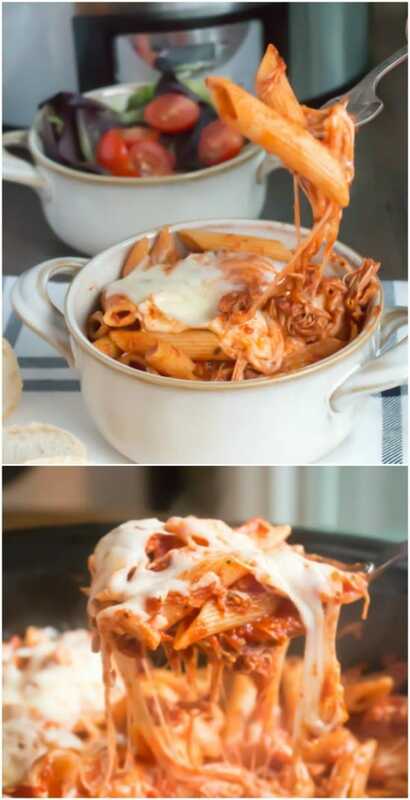 Talk about an amazing comfort food for those busy nights! This easy slow cooker vegetable beef soup is perfect for cold winter nights and those nights when you just don’t really have time to cook. It’s a wonderful comfort food and so easy to make. 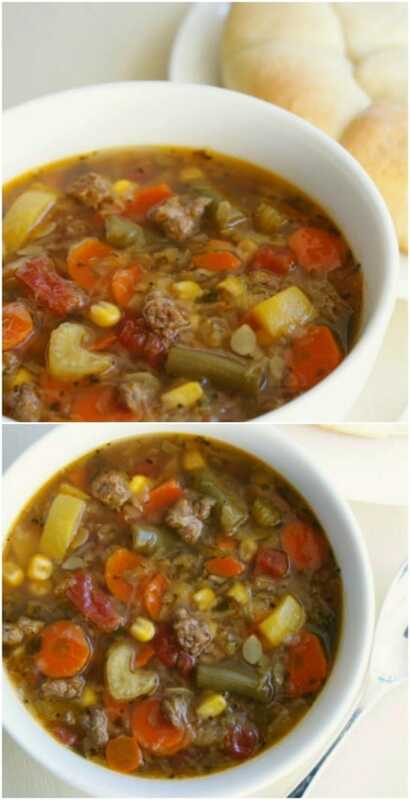 Loaded with veggies and beef, this is definitely going to become your go to when you want homemade soup. Just add all of your ingredients to the crock-pot and leave it to cook itself for about eight hours on low or four hours on high. Thanks for this list of ideas. I cannot wait to try most of them. So glad I clicked on the link, while doing some general browsing. The photos are very good, by the way. Can’t wait to try these recipes! They all sound so good!